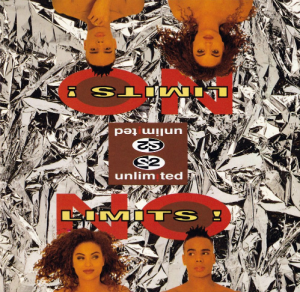 Of the tracks I co-wrote for 2 Unlimited, “Where Are You Now” is by far the most popular. The track was composed and recorded after the other ones on the album “No Limits”. If I remember well, the rest of the album had been circulated to the various distributors around the world. The US label came back with the idea of doing a song with a different vibe to the other techno/dance tracks (which included future hits “No Limit” and “Tribal Dance)”. So pretty much at the last minute, Peter Bauwens and Phil Wilde came up with this haunting, sentimental melody, which I quickly dubbed an electro-weepie. The lyrics – as you can clearly hear – are about separation, and specifically the questions that arise after someone leaves. I won’t go into them too much, as you can add your own story. To be honest, it is based on someone else’s story anyway. Do you think of us? Do you think that it was worth it? “Where Are You Now” is a huge success on YouTube, with well over 1.2 million views across the various versions despite the fact that it was never released as a single. It has been sung by a few people, notably Mirjana who did a version in Serbian! The version I link to here is the most popular. I have no idea why someone thought it would be interesting to add a video of German troops in the desert. If it bothers you, there are other versions here. Where’s the flame that kept us in motion? Where’s the flame, did you take it with you? Do you know that I’ve be waiting? Can you see that I’ve been waiting? Where’s the flame that kept you in motion? Are you somewhere I can find you? Wow…thanks for the site. I have long lost this song years ago and couldn’t find it anymore until I remembered the chorus and googled it…and then, pop up ur site. Awesome. Thank you! Thanks! It’s my turn to be wowed. I have very fond memories of this song as an early teenager. It took me to a meditative and emotional place . It still does and makes me feel nostagic whenever I hear it. To be honest, me too. It was anchored in actual life, not just a made-up story. Old songs are really good. They are far better than new songs. LOL. That’s a pretty bold statement!